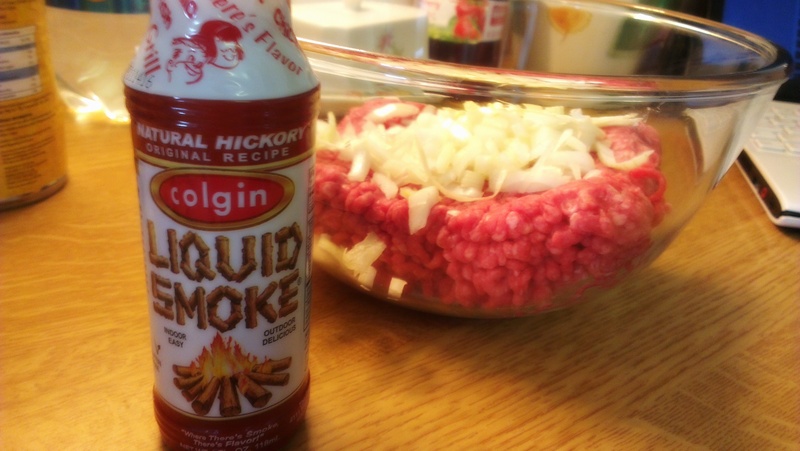 In a bowl, use your hands to combine the Mince, Onion, Sweetcorn and Liquid Smoke. Beat an egg for every 500g of mince and add. Crush through thoroughly with your hands. 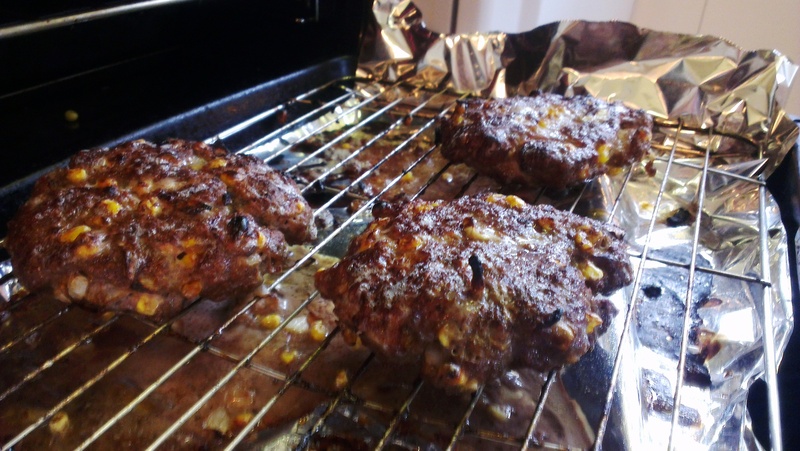 Shape into patties with your hands, remembering that they will shrink inwards and upwards as they cook. In the interest of fat-reduction, we recommend grilling these, but by all means fry or better yet – barbecue. Whilst the burgers cook, fry the mushrooms and bacon. 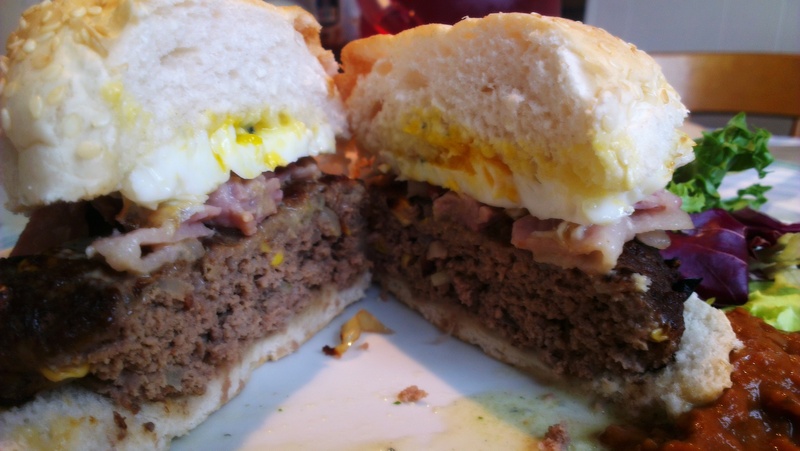 Also fry one egg per burger – don’t let the yolk be too runny, remember there’ll be other sauce on the burger. 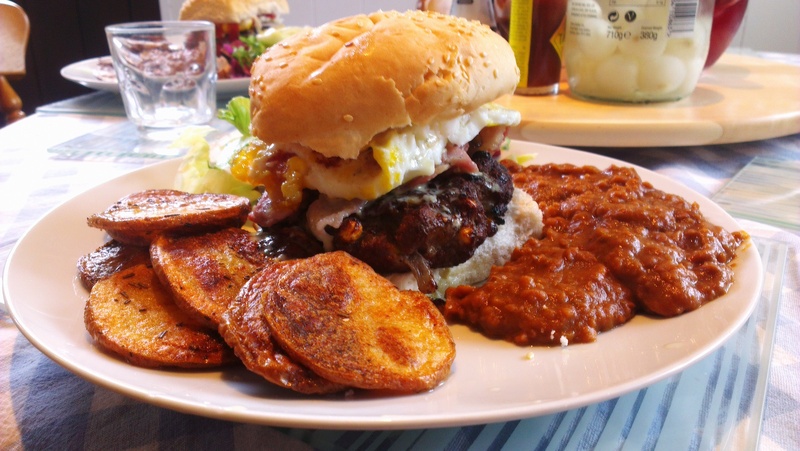 When all the elements are cooked assemble; patty, bacon and mushroom, egg, blue-cheese sauce. Serving and Storage Serve with other vaguely Tex-Mex flavours; fries, nachos, refried beans, spicy rice etc. 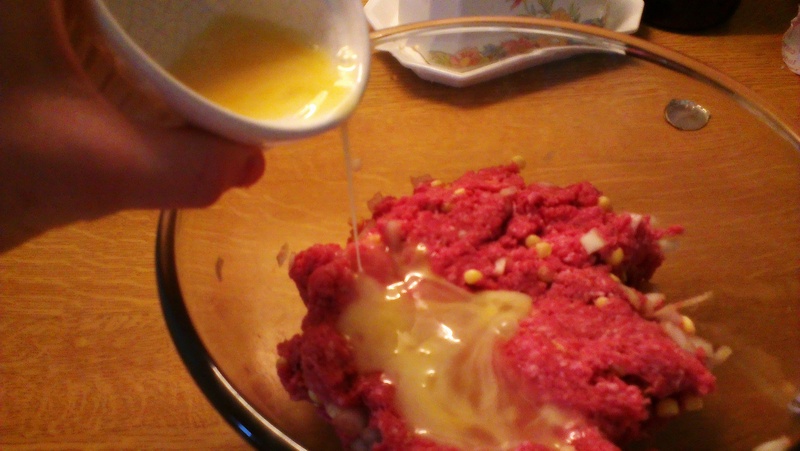 If making ahead of time, freeze the uncooked patties, however once cooked just eat them. 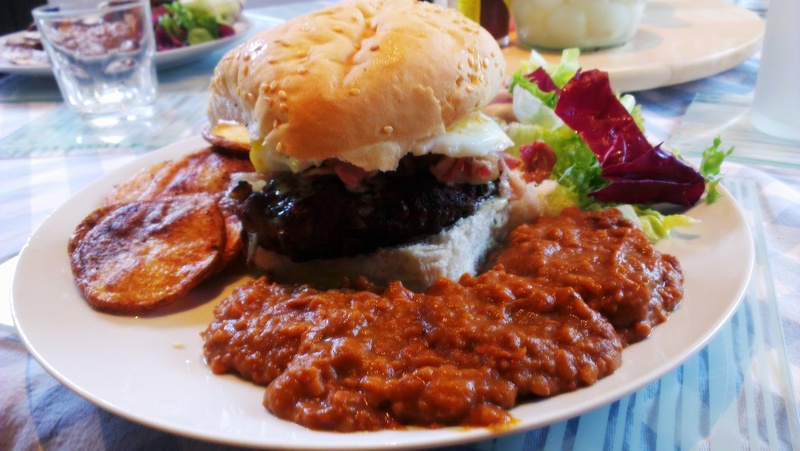 Posted in Beef, Guesscipes, MainsTagged barbecue, bbq, beef, burger, guesscipe, recipe, summer food, tex mexBookmark the permalink.